Fast, reliable and effective commercial cleaning services and building maintenance services carried out at your convenience and to standards no other contract cleaners or builders can reach. Our cleaners work throughout London, Kent and the entire South East region, providing a comprehensive range of commercial cleaning and property maintenance services. Whilst hotels are our biggest clients, we also work with many other companies and organisations, including retail shops, schools, universities, leisure establishments and offices providing retail, commercial and office cleaning of an exceptionally high standard at unbeatable prices. With over 20 years’ experience of working alongside some of the most prestigious names in the hotel and retail sectors, we offer an exceptional range of specialist office refurbishment and commercial contract cleaning services to keep every inch of your property spotless. 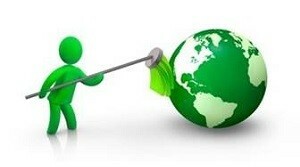 Call us now and discuss your commercial and office cleaning requirements. Whatever your specific commercial refurbishment requirements, our dedicated and friendly office cleaners have the skills, expertise and knowledge to meet them perfectly and exceed your expectations. We work with a wide range of specialist cleaning equipment and chemicals to get the very best results every time. As one of Surrey and London’s leading commercial cleaning contractors, we pay close attention to health and safety legislation to ensure non-disruptive and high quality property maintenance and refurbishment services for every aspect of your building interior and exterior. Our retail and office cleaners work throughout Kent, Surrey, London and the South East of the UK, providing commercial and industrial customers with the highest quality commercial cleaning and building maintenance services at unbeatable prices. Our experienced office cleaners and cleaning contractors have recently undertaken commercial cleaning projects for clients in Guildford, Woking, Reigate, Sevenoaks, Dartford, Orpington, Bromley, Wallington, Chelsea, Epsom, Croydon, Brighton, Reading, Bracknell, Sutton, Leatherhead, Crawley, Slough and London. If you would like any more information about our wide range of commercial cleaning services, please do not hesitate to contact one of our friendly and attentive team. Extensively experienced in all types of retail, hotel and office cleaning, they are always on hand to answer any questions you may have and provide honest and impartial advice about any potential commercial cleaning projects.